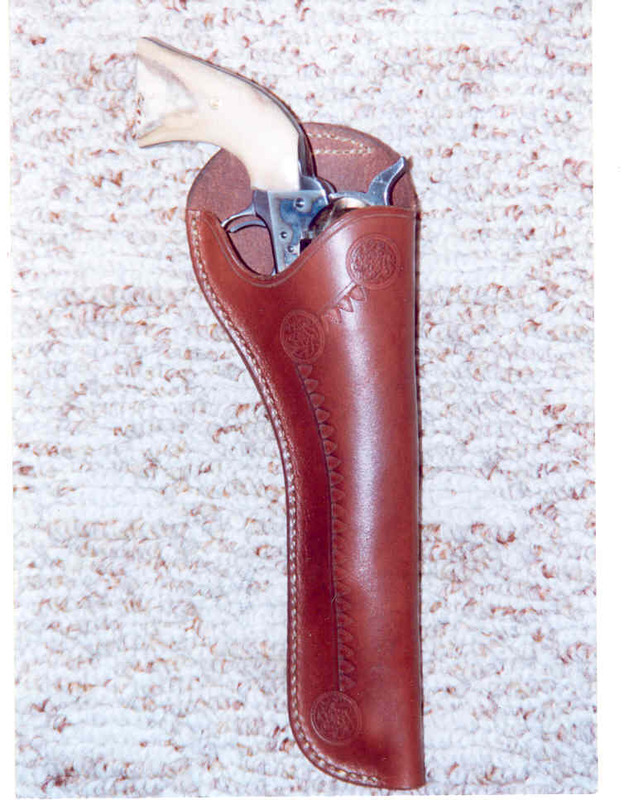 In his book Cowboy, author David H. Murdoch shows an original holster attributed to Sheriff Pat Garrett from his Lincoln County, New Mexico days when he shot Billy the Kid. For a Colt SAA or "P" frame copy with 7 1/2" barrel. Right handed with border tooling.